This retail office supply company maintained a corporate accounts salesforce. While the company had done well for years, it was interested in increasing its market share. At the same time, the company was experiencing relatively high turnover in its sales positions. They had previously figured the average cost of turnover for each sales position – including advertising, recruiting, hiring, training, compensation, and termination – to be about $15,000! Management correctly assumed that the flat sales growth and the turnover were related, but they lacked the data which would point to a solution for both issues. The first step toward improving sales was to measure the effectiveness of all salespeople against the top performers. More than a simple sales versus quota metric, the company needed to quantify behavioral traits to indicate how the sales superstars managed to vastly outperform the bottom of the pack. The sales force was divided into two groups based on annual sales volume: the top 12 salespeople and the bottom 12 salespeople. Using the Profiles Sales Indicator™, the top performers were assessed to produce a "Sales Success Pattern". It was found that the two groups were markedly different in their match scores to the pattern. This proved to be the key to understanding the behavioral differences between the two groups. Sales managers applied the Profiles Sales Indicator as a selection tool in the hiring process and followed the recommendations developed from its reports. They also used the management reports to coach the existing sales employees and new hires throughout the year. In the first 10 months of the new program, sales turnover dropped from an annual rate of 65.5% to 23.3%, a reduction by two-thirds. The company calculated the potential annual sales increase if all 12 bottom performers were replaced by top performers. The result was a staggering $2,150,940. Over three years, the turnover rate was maintained at an acceptable 25% or less. With the gain in sales volume and the cost savings of reducing turnover, the Profiles Sales Indicator program produced a remarkable return on investment rate of 58:1. As the company continues to replace bottom performers with potential top performers, the original goal of achieving greater market share becomes likely. Your organization can increase sales and reduce sales turnover, too. 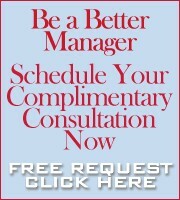 Contact us today to schedule a complimentary consultation to discover what your return on investment could be.